The Art of Mindfulness: A Corporate Perspective | Fourth Dimension Inc.
Mindfulness, in the form of Bare Attention, is the clear and single-minded awareness of what actually happens to us and in us, at the successive moments of perception. 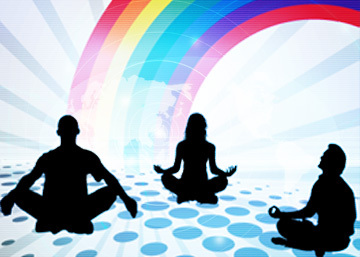 U.S. Army adopts Mindfulness Meditation: In an unusual departure from traditional prescriptions for coping with high stress, the United States Army is recommending something more eclectic to its soldiers in Iraq – mindfulness mediation. According to Major Victor Won, Deputy Assistant Chief of Staff for Intelligence, mindfulness is a simple but ancient approach to living that western medicine has begun to recognise as a powerful tool for dealing with stress, illness and other medical or psychological conditions, and it could help soldiers in any circumstance. There is a treasure house of practical wisdom in the Indian Yogic tradition, which can be of great help to professionals in every field for developing their full potential as a human being or as a professional. One of them is the practice of Mindfulness, which is a limb of the eight-fold path of Buddha. This article examines the practical implication of Mindfulness for enhancing the performance and effectiveness of leaders and professionals in the corporate world. The meaning of mindfulness; the benefits of mindfulness for professionals. The practice of Mindfulness has an outer and inner aspect, which may be termed as Observation and Awareness. The outer dimension is Observation. Most of us are very poor observers. We have only a fleeting and hurried glimpse of the things around us. Even when we observe a little more attentively, the outward stimulus produces biased inner reactions, opinions or judgement, coloured by personal likes, dislikes, preferences and prejudices. So we must learn to observe all that is or happens around us with full, minute and detailed attention and also without the distorting personal reactions. When we turn this attention of consciousness from the outer world to the inner world and the inner movements of our mind, heart and also the body, it becomes awareness. So mindfulness means to observe the world around us, made of objects, events, Nature, people – and the world within us, made of thoughts, feelings, sensations, impulses, motives and inner reactions, with the following attitude. 3. as a detached witness and spectator without any personal identification with the observed object. 4. without condemnation and judgement, especially moral judgement like good and bad. The inner attitudes described in the above passage like impersonality, objectivity, non-judgemental look, apply equally to the mindfulness of the outer world. However, there are two more higher benefit of mindfulness, which are not fully recognized in the yogic as well as management circle. The first one is that mindfulness can lead to a deeper understanding of others. As our awareness becomes more impersonal, objective and detached, through mindfulness, it extends beyond our personal self to embrace others. We become more and more sensitive to the thoughts, feeling and motives of others, which mean a certain amount of identification with the consciousness of others. And this is the only true way of understanding others. The modern psychology tries to understand people by analyzing their outer behaviour. But this method of understanding is very uncertain, tentative and imperfect. For a truer and a more complete understanding of others we must be able to identify our consciousness with the consciousness of others and know what are the inner forces which make them act or behave in the way they do. This higher way of knowing leads to an enlightened and sympathetic understanding of the difficulties, problems and behaviour of other and the right way of dealing with them. The other inner result of Mindfulness is in the realm values. As we become aware of our inner movement and their inner consequences with a deep, subtle, refined and delicate sensitivity it awakens the taste or rasa for all that is true, beautiful, good and luminous and a spontaneous rejection of all that is ugly, dark, evil and the vulgar. For example when the mind becomes fully aware with all its awareness and energy the peace and joy and satisfaction brought by good feelings of kindness, generosity or forgiveness or sincerity, and conversely the opposite states of restlessness, misery, helplessness created by feelings like anger, jealousy, hate – then it leads to a spontaneous and effortless rejection of negativities and a sincere, whole-hearted aspiration for truth, beauty and goodness. 2. Richard Boyatzis and Annie Mckee, (2005) Resonant Leadership, Harvard Business School Press, p.112, 115.